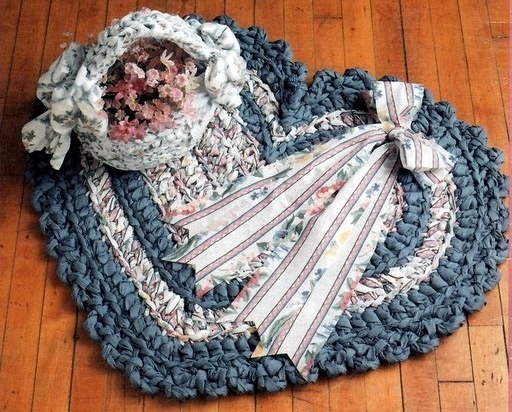 If you are thinking of making a small crocheted rug or a decorative rug with t-shirt yarn, you’ll love these ideas. Heart shaped rugs aren’t very difficult to make and look very nice, especially if you do it following a crochet scheme and you weave it with neatness and patience, enjoying the process. This entry was posted in Crochet and tagged Crochet Schemes, crocheted rug, Heart Shaped Rugs, t-shirt yarn on October 2, 2017 by Sue.